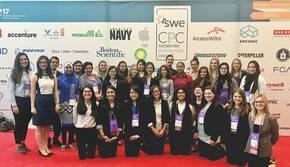 The Society of Women Engineers (SWE) is an organization that was created to help foster the growth, success, and advancement of women within STEM fields, as well as achieve recognition for the contributions already made to STEM fields by women. 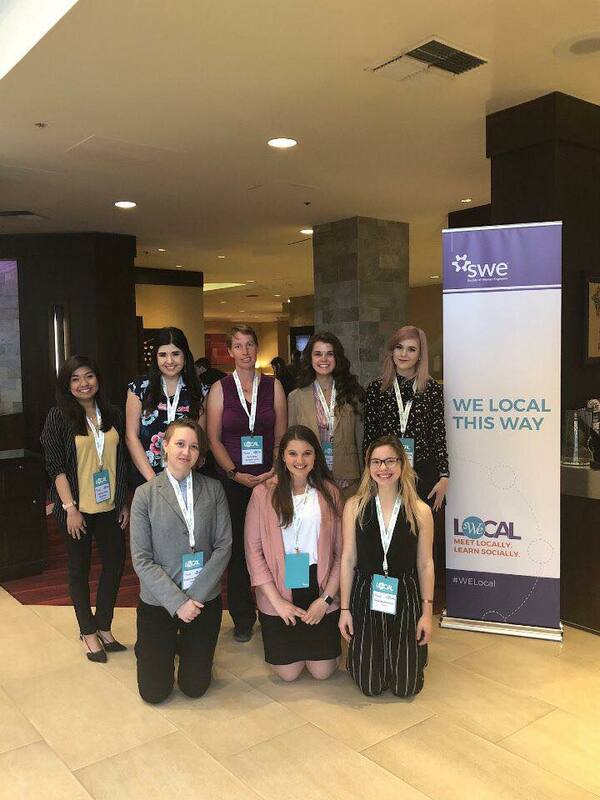 SWE aims to establish engineering (and all other STEM fields) as an extremely valid career choice for women through networking, outreach, scholarships, training programs, conferences, and more. At UNM, we aim to provide the community with outreach events that get local kids excited about STEM. We also aim to provide our members with a strong support system of STEM students (of all genders) to help each other through school and create new relationships. ​If SWE sounds like the organization for you, please sign up for our mailing list to get up to date information on upcoming events and meetings. Members of the UNM SWE section are required to pay a $20 annual membership fee to cover the costs of a section t-shirt and refreshments at meetings. Additionally, only UNM SWE members who have paid the $20 section fee will be eligible for points and conference travel. The section fee can be paid at any general SWE meeting, or you can contact us at sweunm@unm.edu for other payment options. Also, don't forget to subscribe to our mailing list for up to date information on events and meetings. In addition to membership in the local UNM SWE chapter, we highly encourage our members to register as national SWE members. Community events, leadership opportunities, SWE competitions, and more! For a one-time $50 payment, collegiate members can secure a SWE membership for their collegiate years through the first year they qualify for professional grade membership. C2C is beneficial to students with two or more years of schooling left or those pursuing an advanced degree. Renewal is required each year, at no charge, to confirm continued SWE Membership. Take advantage of this program to maximize your savings on membership dues. For more information, please read the Frequently Asked Questions on the national SWE website. SWE Membership is available for $20 to college students majoring in engineering and must be renewed annually to obtain membership benefits. For more pricing information and other special programs for graduate, returning, professional, or international please visit the SWE Membership page. Ok, I’m ready to become a national SWE member! Joining is simple, just visit swe.org and under the Membership tab, click Join.